We regret to have to inform Members that Life Member Robert ‘Bobby’ Bell sadly died on Monday 13 November 2017. Bobby began his professional career in architecture, before he followed his heart and love of motor racing to secure himself a job as a salesman with Coombs, the Jaguar dealers in Guildford. With their racing 3.8s and Lightweight E-types, it was a way of getting close to motor sport. Bobby began racing in 1962 in his Lotus 7 which he would use on his daily commute to work during the week but race in it at the weekends. 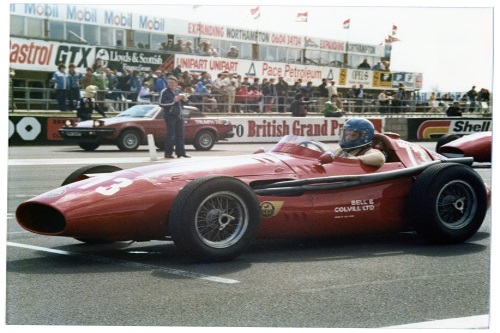 Bobby then progressed to a front-engined Lola and a mid-engined Piper, and found himself racing against the likes of Jim Clark in support races for the British Grand Prix during the 1960s. It was while racing the Piper that Bobby met fellow BRDC Member Martin Colvill with whom, in 1970, opened the successful Lotus dealership of Bell & Colvill Ltd. The BRDC extends its sincere condolences to Bobby’s wife Aline and children Natasha and Sophie. A private family funeral was held last year but a memorial service will be held for Boddy on Thursday 8 March at Guildford Cathedral, Stag Hill, Guildford GU2 7UP at 11.00am. If you wish to attend or would like further details, please contact Martin Colvill directly or call the BRDC Office for Martin's contact details.